Our Supportive Oncology program offers a range of services to support you and your family during your cancer treatment. Andrzej Jakubowiak, MD, PhD, is an internationally known expert in the treatment and research of multiple myeloma. There's new hope for patients with multiple myeloma, a cancer of the plasma cells (a type of white blood cell found in the bone marrow). While multiple myeloma is considered a chronic and incurable condition, advances in scientific research are bringing innovative and exciting treatments to people who have newly diagnosed, relapsed or refractory (hard-to-treat) disease. More and more people are attaining lengthy remissions and are surviving for many years. The hematologists/oncologists on our multiple myeloma team are nationally known experts in the treatment of this disease. As lead investigators and co-investigators on numerous national clinical trials, these same physicians are actively involved in the discovery and design of new and innovative therapeutic advances. Our treatment team provides a personalized approach for the care of patients with multiple myeloma. Our goal is to control disease growth, achieve remission and help our patients live a good quality of life. We also offer comprehensive support services to help our patients manage their multiple myeloma symptoms and the side effects that may occur as a result of therapy. Chemotherapy with novel drugs thalidomide, lenalidomide and bortezomib — a class of drugs that change the environment around malignant cells, preventing them from growing and reproducing. Different combinations of these medicines, both with each other and with more traditional chemotherapeutic agents, are often considered and very effective. Autologous stem cell transplantation — a conventional approach and now a safer, more effective therapy. In some cases, patients can have a stem cell transplant as an outpatient. Clinical trials of new drugs — the newest generation of therapies similar to bortezomib (Velcade), thalidomide and lenalidomide, but designed to be better tolerated and more powerful. Drugs such as carfilzomib, pomalidomide, elotuzumab and others are able to overcome resistance seen in the already approved drugs. In addition, CAR T-cell therapy, a cancer immunotherapy that has shown great promise for other blood cancers is now in clinical trials for patients with relapsed or refractory multiple myeloma. Targeted therapy — a recent advancement in multiple myeloma treatment, targeted therapies detect and attack cancer cells without damaging normal cells. Supportive care — chemotherapy, radiation and other therapies may be recommended to slow bone loss and treat bone pain. UChicago Medicine physicians and scientists are at the forefront of basic and clinical research in multiple myeloma. 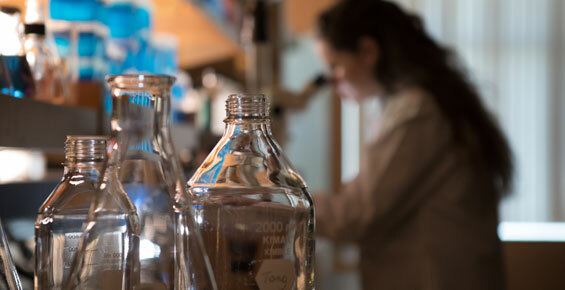 Our program works collaboratively with basic scientists at the UChicago Medicine Comprehensive Cancer Center to investigate and develop new therapies for multiple myeloma. 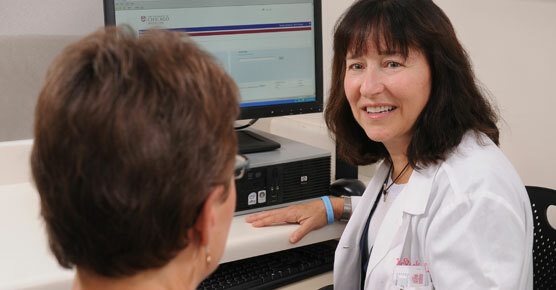 In addition, members of the multiple myeloma team at UChicago Medicine are active participants in the Multiple Myeloma Research Consortium (MMRC) — an association of 25 academic medical centers dedicated to accelerating research on multiple myeloma, creating new treatment protocols and bringing the most promising therapies to patients in a timely manner. 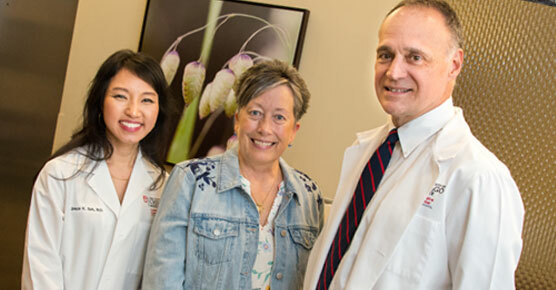 Rather than the typical three- to four-week hospital inpatient stay for a stem cell transplant, Rebecca Zoltoski spent a few hours in the outpatient unit daily, where she underwent tests and the infusion of healthy cells to overpower cancer cells. Find a multiple myeloma clinical trial.